A CUSG meeting (Elizabeth Rodriguez/CU Independent). Tensions between CU Student Government members came to a head Thursday night as Legislative Council considered two different documents that, when implemented together, would overhaul how CUSG oversees student fees. The regularly planned meeting, which lasted almost five hours, included heated discussion on and off the floor between legislators and the tri-executives, accusations of coercion to change votes, and concern from all sides about making changes in both a thought-out and a timely manner. One document, the Student Fee Budget Proposal, was up for discussion for the third time in the past month. Legislative Council didn’t vote on anything as the document hasn’t been finalized and formally presented. Since discussion on the proposal last Thursday, which included recommendations from legislators, there have been some notable changes. One of the proposed boards was renamed to be the Student Visioning Commission, which would help direct each new CUSG administration. Additionally, its seats were re-designated so that instead of two spots reserved for members of Legislative Council, one seat would go specifically to a designee from Representative Council and one would go to a designee from Council of Colleges and Schools. These two bodies make up Legislative Council. This change was in response to concerns from legislators that their constituencies’ voices weren’t going to be heard on this panel. Another part of the amendment would add multiple proposed joint or advisory boards. Some of them were already functioning but not yet codified, such as Center for Student Involvement. Other boards, such as Student Athletics Advisory Board, currently does not exist, but are under consideration to be added as part of a potential new budgeting process. Both this addition and the removal of Finance Board are used to anticipate changes laid out in the Student Fee Budget Proposal. 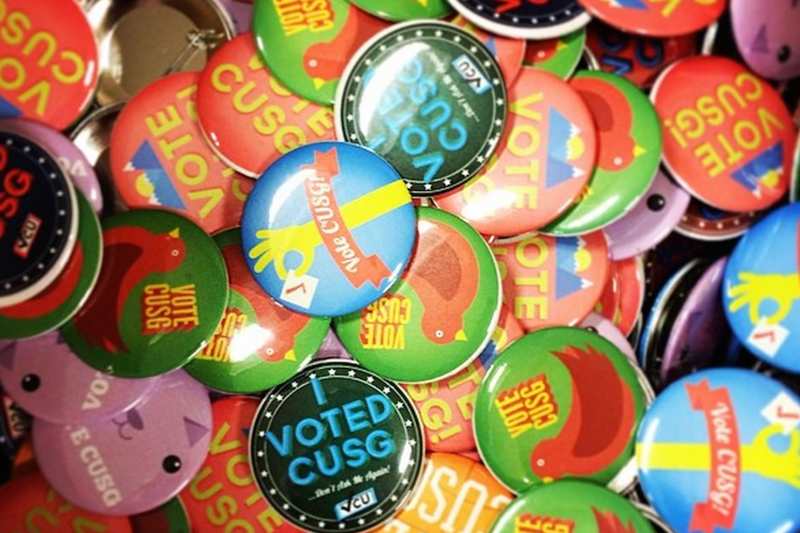 The amendment would also slight change CUSG’s judicial system. The Appellate Court would be renamed as a Supreme Court, to better describe its relationship to other courts. To align with a recent ruling, language would be added to prohibit student justices from submitting questions to the court for consideration. Taken together, the amendment and the proposal would help to finish off the months-long process that CUSG has undergone in negotiating with administration to retain, and potentially even expand, purview over student fees. This began in April 2018, when Chancellor Phil DiStefano attempted to take away over 90 percent of CUSG’s budgetary oversight. For many CUSG members, it’s difficult to consider one document without the other, as the budget proposal will require changes in the Constitution, which will in turn give it more functional legitimacy than just being an agreement between CUSG and CU administration. Legislative Council initially rejected the bill adding the amendment to the ballot. In a vote with multiple abstentions, a narrow majority of legislators deemed it unnecessary to give the bill another chance in a second reading. According to Brady Itkin, former CUSG historian, voting down a bill on first reading, without giving it a second chance for its authors to make changes, is rare but not unheard of. Unless a bill is put on the floor in an emergency context, procedure will always put it on the floor twice before legislators vote to approve or deny it. During discussion of the bill prior to the rejection vote, members had expressed a variety of concerns. One was that even though the contents of the bill had been in consideration for some time, the bill itself and the amendments it proposed were hastily written. Sarah Altshuler, Council of Colleges and Schools chair and one of the bill’s authors, acknowledged during question-and-answer that the actual language was written in the week leading up to the meeting. Other concerns noted the ambiguity of replacing Finance Board. There’s enough structure that if student voters were to reject the amendment in the election, or if administration didn’t accept the Student Fee Budget Proposal, Finance Board could still exist as it is. It’s also still outlined in the Legislative Council. After a recess, Legislative Council returned to the floor, with some members claiming that they had been accosted for voting against the amendment. In particular, members of Representative Council claimed that the tri-executives and other legislators had “bullied” them into reconsidering their vote, in the words of Michael Robinson, Representative Council speaker. In discussion before the vote, Robinson had expressed apprehension on the vagueness of the amendments. “If we don’t reconsider the amendment and give it time to improve, we tie our hands to make long-term substantial changes,” Jake Reagan, one of the tri-executives, said in response. After discussion on conduct, Legislative Council bifurcated the amendment bill, splitting its contents into two bills. Most legislators were in favor of the amendments on the judicial branch, which are not related to the changes in budget process. Non-judicial amendments were split into a second bill. Both were passed to second reading and will be considered at Legislative Council’s next meeting on March 21. Itkin said the split and revote will hopefully allow for reforms. There are a couple options to move forward and both will likely involve simultaneously adjusting the two documents. On one hand, Legislative Council could support the Student Fee Budget Proposal so that it can be delivered to CU administration for endorsement. Following the chancellor’s approval, Legislative Council would then approve the bill for a ballot measure to amend CUSG’s Constitution. On the other hand, the constitutional amendment could be proposed in anticipation of the inevitably restructured budget process, to make the transition smoother. Even if the chancellor doesn’t approve of the Student Fee Budget Proposal for a while, if the amendment passes in the election, it would open the door for potentially more flexible negotiations. Sarah Altshuler, co-senator for Arts and Sciences and chair of Colleges of Councils and Schools, helped write the language of the bill proposing the amendment, not the language of the actual amendments. She said that while she thought that the broad character of the amendments would be received better than more specific language, she’s supportive of whatever Legislative Council decides in the end. If the constitutional amendment isn’t put on the ballot by Legislative Council, CUSG members in favor of it could still call together a student assembly. This is similar to a constitutional convention, where a large subset of the student body gets to perform some of the duties that are normally designated to Legislative Council, including referring a ballot measure into an election. This is extremely rare in CUSG history, with the last known use sometime in the 1980s. In the days following the Legislative Council meeting, CUSG members have already made changes to both documents. Winter Roybal, Environmental Design senator, initially voted against the constitutional amendment on Thursday. “Initially, I wasn’t sure that things were thought through completely, but I feel more confident now that they are,” Roybal said in an email. Legislative Council will hear both constitutional amendment ballot measures at their next regularly scheduled meeting this Thursday.